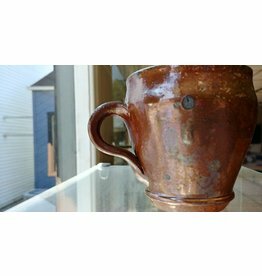 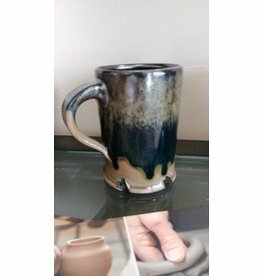 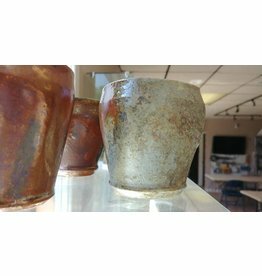 This large and sturdy mug has a wide, comfortable handle. 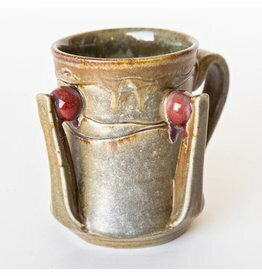 Glossy red glaze is smooth and contrasts well with the matte black medallions. 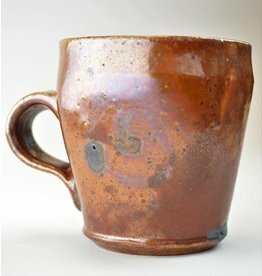 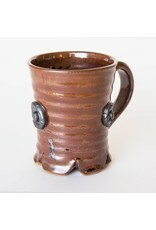 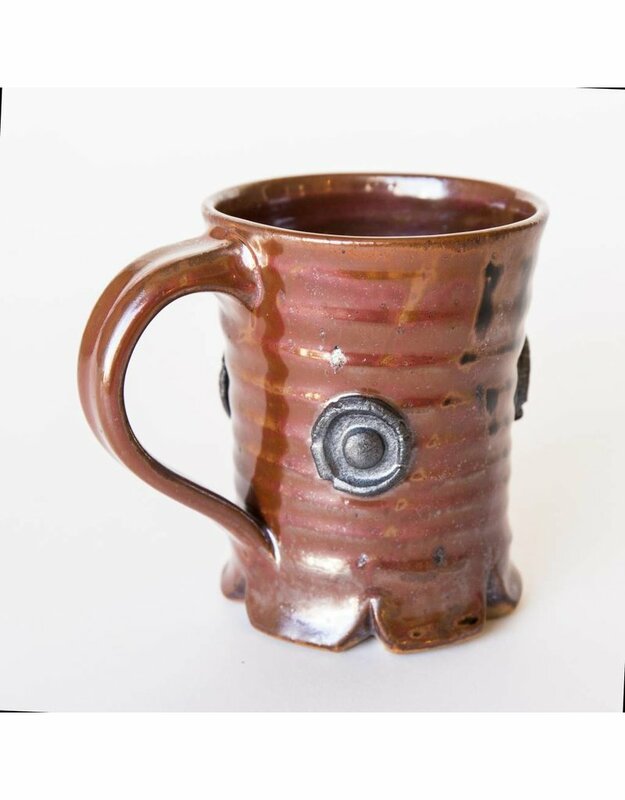 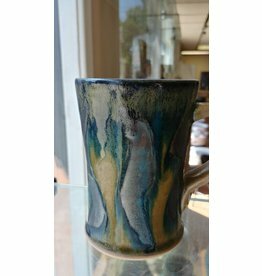 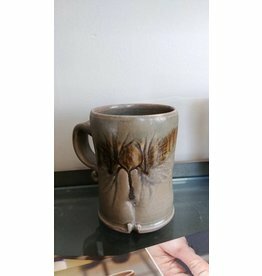 The foot is interesting - providing a nice gear-shaped bottom to the interior of the mug. 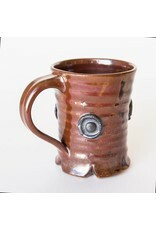 Perfect for hot beverages, holding over 21 ounces of morning ritual.